2 total shares. Be the next! Save Christine to your Collection. Register Now! 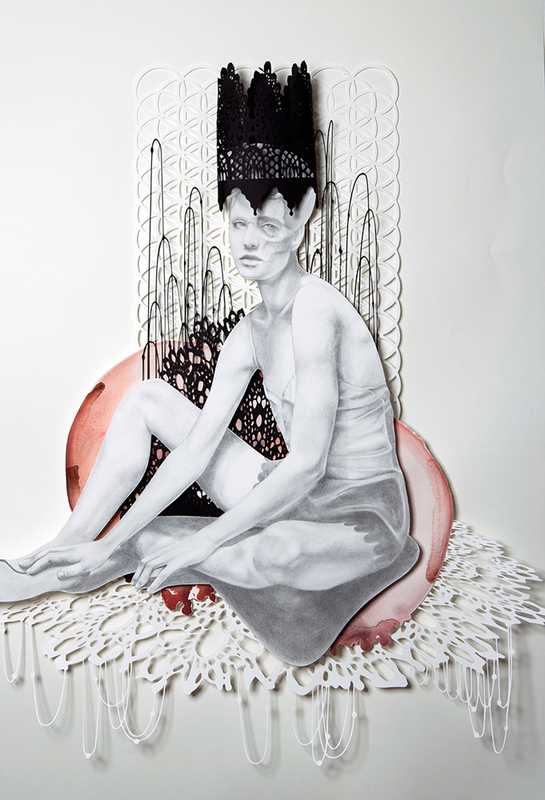 Christine Kim is a Toronto-based artist who works in illustration, cut paper collages and installations. Christine’s love for paper grows and grows. Although she developed a special affinity for drawing on stones, it was the paper that she coveted, bought, and stowed away. She became accustomed to climbing ladders, often hanging paper fragments and sculptures, wanting them to defy gravity. She is fascinated by the tension of a heavy stillness, a pregnant pause, and often describes her work in terms of volume and weight. 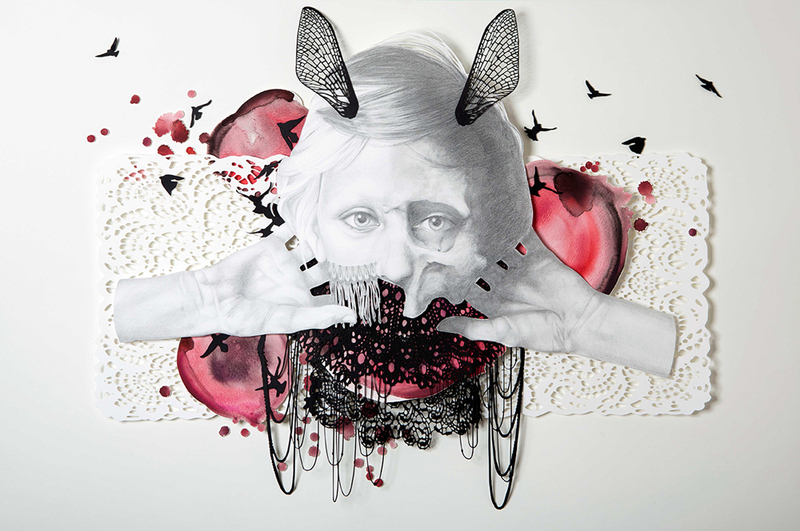 Her collages started by accident – a drawing of a figure that was poorly planned. In an attempt to salvage the figure, she cut it out and started to occupy different spots in her studio. She realized that in the cutting, she had liberated it from the confines of the original surface. Soon, she began to layer cut paper fragments, watercolor washes, and illustrations. It is this process that she finds most invigorating and challenging. She hopes to maintain this balance of playful experimentation and strategic compositions, so that there is always room for chance discoveries.